Kodi 18 RC1 Released – Just One More Step to The Final Kodi Release! Kodi 18 RC1 Released – Just One More Step to The Final Kodi Release! Kodi 18 RC1 Released – Just One More Step to The Final Kodi 18 Leia Release! We expect the final Kodi 18 Leia to be released before the end of the year. A bit over two weeks after the fifth and final Kodi beta was released, we now have the first RC (Release Candidate) in our hands. This means that Kodi’s developers are close to done building the upcoming Kodi 18 Leia, which should be released before the year’s end. We are sure you want to hear all about Kodi 18 RC1 – and we’re going to talk about what’s new. However, since there are so many changes out there, you need to turn to Kodi’s Wiki changelog page where you’ll see a detailed list. Now, we are going to take a look at the most prominent changes that Kodi 18 RC1 brings. Now, here’s something interesting for those who like to tinker with Kodi’s code. You can visit freshly updated Build Guides on GitHub, where you’ll find up-to-date build guides. This means that if you decide to compile a new build, you can now easily find the needed documentation. To learn more about why this is important and how to use it, here’s an article about Kodi’s GitHub codebase. 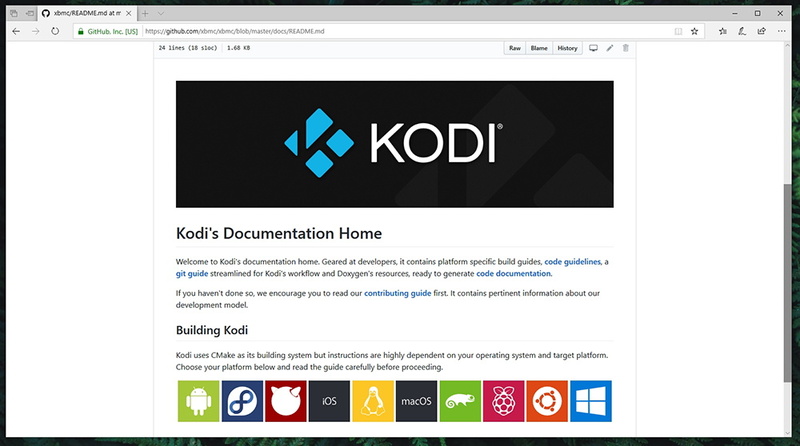 Let’s also not forget to mention that there are new Kodi Wiki pages. This is something that’s been always available – but the newest version brings a much-simplified design. Wiki pages are maintained by Kodi’s developers and regular users, making this the best place to find help on any topic. If you decide to try Kodi 18 RC1, you will see a very interesting capability. As it turns out, Kodi is now able to play DRM-protected content. This means that you no longer have to use third-party addons, as this is something that’s built into Kodi now. So, what does this exactly mean? This means that you will be able to use media streaming subscription services such as Netflix, for instance. As Kodi starts to cover more services, this will help the application remain the world’s best home theater system. Kodi 18 Leia won’t bring any drastic changes to its UI. In fact, upgrading to the upcoming version won’t require you to learn the ropes all over again. However, there is one important yet subtle change to Kodi’s Settings menu. When you upgrade to Kodi 18, we recommend you to optimize your user experience by using the application’s Settings. You will find new granular controls and a simplified interface. And you will also see a small extended description at the bottom of the interface, explaining what each option does. You already know that you can easily import music into Kodi and create your own playlists. However, up until now, Kodi wasn’t the best music player out there. It did the job just fine, but it was somewhat complicated to use. Well, you can now use a simplified Music library with embedded tags for easy organization. This should make it easier to create playlists and even go with smart playlists as well. Watching live TV (and not via third-party apps) is something that Kodi can do, even though this isn’t a highly publicized feature. This means that you can connect a USB tuner or network tuner into your device, and then use Kodi to watch live TV – just like via cable. Here’s a useful guide to watching live TV if you want to get started with this option. Kodi 18 RC1 brings several improvements to that way you watch and record live TV. The interface is much simpler now, and you can even use your remote for easy operation. 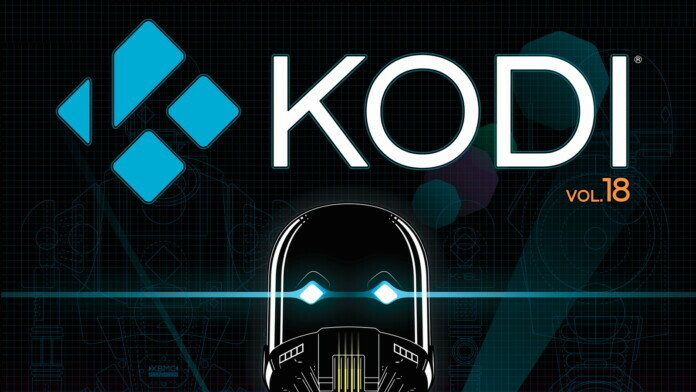 Kodi’s developers have announced their plan to fully implement Python 3 during the next year. This means that when Kodi 19 gets released, Kodi will only work with add-ons supported by this programming language. This isn’t the easiest process since Python 3 isn’t backward-compatible, which requires extra effort by developers to implement. We can only hope that Kodi 19 won’t have a problem with add-ons by the time it goes public. To learn more about this, you can read our article about Kodi 18 Beta 3 – which is when this news first came out. Kodi 18 RC1 is about half the size of its predecessor. This is due to the splitting of the binary repository from the main Kodi installer. What this means is that Kodi will be ready to use as soon as you install it. However, some lesser known features such as PVR can now be installed via an add-on. This also makes it easier for these features to be updated in the future. In case you’re using Kodi on Android, you’re in for a nice treat. Kodi’s developers have not only optimized the application for low-power devices, but they’ve also added Android-specific features. Thanks to the Leanback search support, you can now preview Kodi content on your Android TV’s home screen. And let’s also not forget to mention that Google Assistant is now supported by Kodi. In case you have a device that supports Google Assistant, you can issue voice commands and control Kodi without using a remote. Linux users will also benefit from Kodi 18 RC1 improvements. Kodi should now run better on a variety of Linux devices thanks to a better support for graphics drivers. As TechNadu wrote about back in January, Kodi 18 can be used to play retro games. We’ve seen a massive popularity of retro consoles in the previous year, which makes this announcement a nice surprise. Thanks to a newly built-in emulator, Kodi 18 will support over 100 games once it gets released. You can use different kinds of controllers and play games just like you would on a classic console. And this is possible due to an improved input manager. In other words, third-party remotes should now work with Kodi effortlessly, without having to install custom configuration. 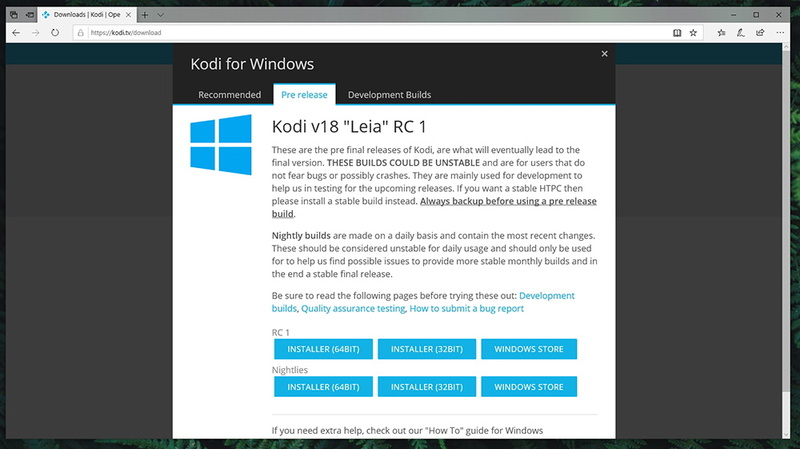 Close to a year ago, Kodi has finally appeared on the Microsoft Store. 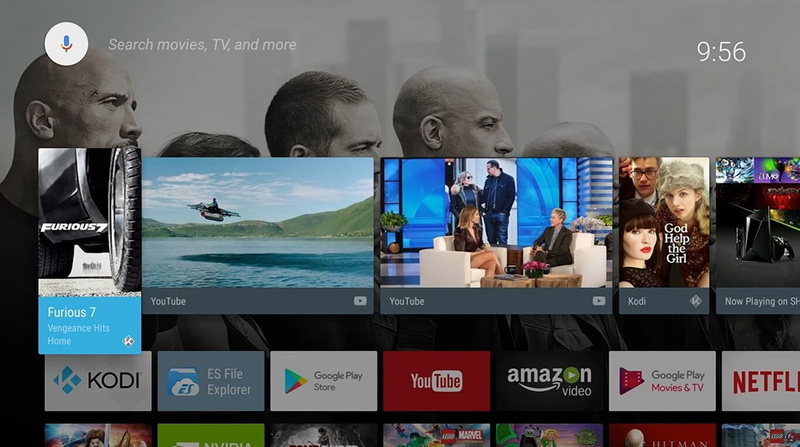 This means that there’s now another way to install Kodi on Windows 10 and Xbox One. And to make this possible, Kodi has become a 64-bit application. 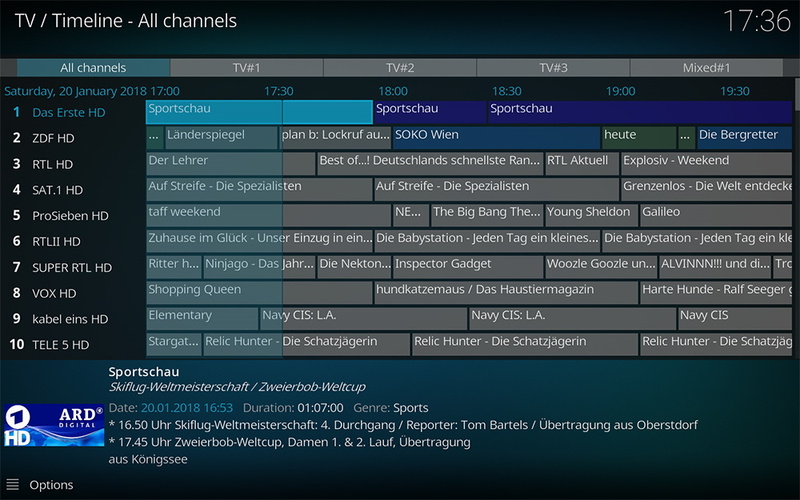 To learn more about this process, you can read our article on Kodi 18 Alpha 2 version. At the same time, this application has dropped support for some systems. This includes the original Xbox, Windows XP, Apple TV 2, Windows Vista, Ubuntu 12.04, and anything lower than OSX 10.8 and Android 5 Lollipop. In case you have a decide powered by one of these operating systems, you won’t be able to install Kodi 18 RC1. Is There a Release Date for Kodi 18 Leia? At the moment, there are no concrete dates when to expect the final Kodi 18 Leia. However, one thing is sure – we’re getting closer to that date. Kodi’s developers should release the second Release Candidate soon, which will be followed by the final version. In case you’d like to try Kodi 18 RC1, you need to visit the official download page. From there, pick your operating system and there choose the ‘Pre-Release’ tab. This is where you’ll see Kodi 18 RC1 available for download. In case you’ve tried the first Kodi 18 Release Candidate build, feel free to share your thoughts. Also, don’t forget to share this article online – and follow us on Facebook and Twitter. Thanks!